Against All Odds is the extraordinary personal story of the man who rose up to meet the challenge of terrific opposition and become one of America's most promising new political figures—Senator Scott Brown. Brown is famous for succeeding popular Massachusetts Senator Ted Kennedy after Kennedy’s death in 2010—but, as he reveals in a compelling memoir reminiscent of Sarah Palin’s Going Rogue and Clarence Thomas’s My Grandfather’s Son, his experiences with struggle and achievement go back a lifetime. U.S. 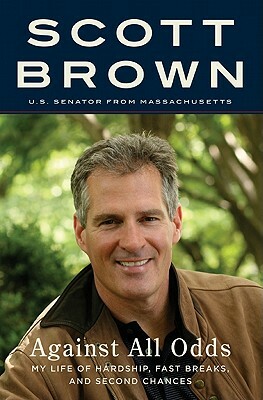 Senator Scott Brown was elected by the people of Massachusetts on January 19, 2010, to fill the term of the late senator Ted Kennedy. He lives in Wrentham, Massachusetts, with his wife, Gail, and they have two daughters, Ayla and Arianna.